All I can say is WOW! Friction and Icicle Sample pack from Shogun Audio and Loopmasters? As soon as I got word of the sample pack I just had to check it out immediately! I was full of apprehension though. How good was it going to be? Were they going to give us some of their own personal samples? Was it going to be filled with usable samples? Lets dive in and see if it lives up to the hype! The full sample pack is roughly 740mb which is a pretty decent size enough. Took me about 20mins to grab it from the Loopmasters webstore. It wasn’t long before I realised this was a pretty special sample pack. Starting with the drums/breaks loops I was blown away with the quality of the samples. Every loop was expertly created and there wasn’t one dud in the whole 40 of them. All the drum loops were clearly labelled with BPM for easy reference which is just the way it should be. The drum loops covered a lot of genres so you had a mix of steppy breaks and minimal breaks and a few more jungle breaks thrown in for good measure. I swear the hardest part about the drum loops folder was picking one because they were all THAT GOOD! There’s enough diversity in the Bass Loops though to keep every one happy but if you are more into the tear out or jump up kind of sound the sample pack comes with an awesome collection of Kontakt patches… read on. All the usual suspects are here, EXS24, Kontakt, SFZ etc. However, the quality of the patches is outstanding. 38 patches to keep any one producing Drum and Bass happy as a fat kid with his icecream! 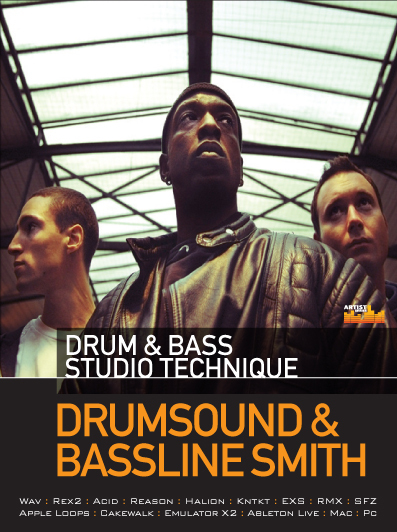 If you want to get all create and start making your own Bass loops (as you do) then you are not going to find a better collection of Bass patches to get you grooving. In fact, I auditioned all the Kontakt patches and its all QUALITY. The Drums, Bass, FX and Instruments are awesome and deserve to be included straight away into your personal sound library. In next to no time I had a Phat Tune rolling out. 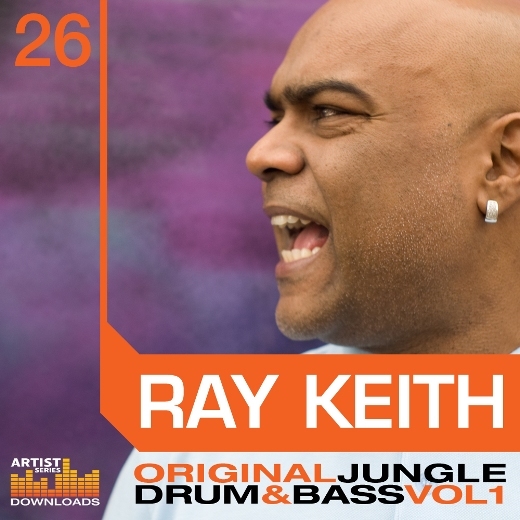 In all honesty you could roll out loads of Phat tunes with this sample pack its that good. 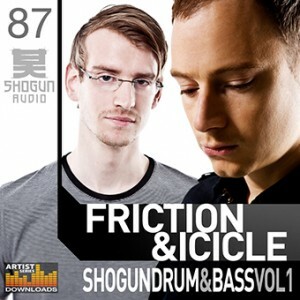 The Friction and Icicle Shogun Sample Pack is AMAZING. I highly recommend it to ALL producers of Drum and Bass and even Dubstep if you get down to a little 140 action. All the samples are highly usable and the patches are top notch. If you are after a little inspiration or just want some welcome additions to your own sample library then get this bad bwoy on your PC/Mac. Cheers for the tip, on the d/l now!